As ancestral sleuths, we are often told that it's a good idea to maintain a genealogical research plan, and keep track of negative findings as well as positive results. But, just as often, my mind doesn't work like that. Part of the fun for me, is to trip over a random genealogical discovery. I have the kindness of others to thank for much of this; people have taken pains to transcribe, and make available online, obscure records that would otherwise be forgotten. Take this example: I don't even remember how it popped into my head to search for my ancestor, Selah Graves, who died in Pike, Wyoming County, New York. I put together his name in quotation marks, along with another descriptor, perhaps "Pike," and performed a Google search. Low and behold, one of the results led me to another part of Selah's life that I had known nothing about: his affiliation with the Masons. 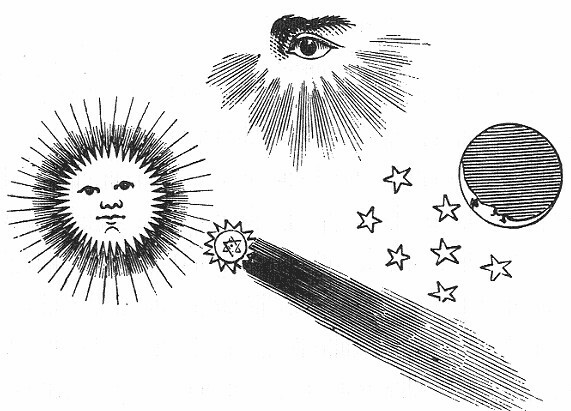 In 1828, Selah is described as the Master of the Morning Star Lodge, #295 in Pike, Wyoming County, New York. In this capacity, his name appears on a letter to the state governing board of the Masons, describing the plight of his local lodge. They had gone from 50 members to 15, "willing to stand the shock against Masonry." They had used all their funds to build a hall, two of their wealthy members had died, and they were $80 in debt. They asked if they could forgo paying dues at that time. Failure to be granted this request would probably result in the Lodge's "Stopping Work." The letter also records the name L. Couch, secretary. From a Wikipedia entry comes the following: "William Morgan (1774–1826?) was a resident of Batavia, New York, whose disappearance and presumed murder in 1826 ignited a powerful movement against the Freemasons, a fraternal society that had become influential in the United States. 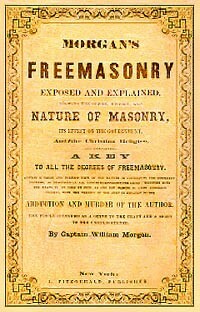 After Morgan announced his intention to publish a book exposing Freemasonry's secrets, he was arrested on trumped-up charges. He disappeared soon after, and is believed to have been kidnapped and killed by some Masons. The allegations surrounding Morgan's disappearance and presumed death sparked a public outcry and inspired Thurlow Weed and others to harness the discontent by founding the new Anti-Masonic Party in opposition to President Andrew Jackson's Democrats. It ran a presidential candidate in 1832 but was nearly defunct by 1835." And so, not only have I gained another piece of evidence that helps me build a picture of my ancestor in particular, but I've also learned something about how he fit into the history of the time, and how he was impacted by a larger story. Jfproots@gmail.com. I've been conducting genealogical research since 1980. This has involved on-site visits to 23 states and a large number of major and minor archives. Please e-mail questions or comments.